In 1996, I bought my wife an engagement ring. It was a covert affair that required cunning, secrecy, and the help of my wife’s family and friends. First I had to find out what types of rings were appealing to her (elegant and understated). Next I had to get her ring size (her sister secured the info for me). Finally, I had to visit dozens of jewelry stores and examine hundreds of rings before I found the right one. I finally settled on a barrel cut stone with a simple gold setting. Besides my car, this was the most expensive item I had every purchased. Before I even presented it to my wife, I got it independently appraised and insured. On the night I proposed to my wife, I got down on one knee and presented the ring to her. She was surprised and filled with joy. After she said “yes”, I slipped the ring on her finger. My wife and I have been married for 18 years now and she still cherishes her ring. But as we approach our 20th anniversary, I wanted to do something special for her. As I mentioned earlier, my wife likes understated jewelry, but I noticed that she would often do doubles takes when she saw her friends’ more elaborate rings. After observing which rings she was drawn to, I decided to have her diamond reset in a new setting. Some online research led me to Gemvara, the leading provider of customizable fine jewelry. Their service, Stone Reset by Gemvara, is the first to offer diamond and gemstone resetting online. Through a simple online platform, customers can securely send in a gemstone or diamond to be reset into a new piece. Each reset piece is customer-styled and handcrafted by Gemvara’s expert jewelers and stone-setters. When I revealed my plan to upgrade my wife’s ring, she was less enthusiastic than I anticipated. “But I like my ring the way it is,” she said. As you may have noticed, my wife doesn’t like change. She is also a bit leery of online retailers because she’s had some bad experiences. 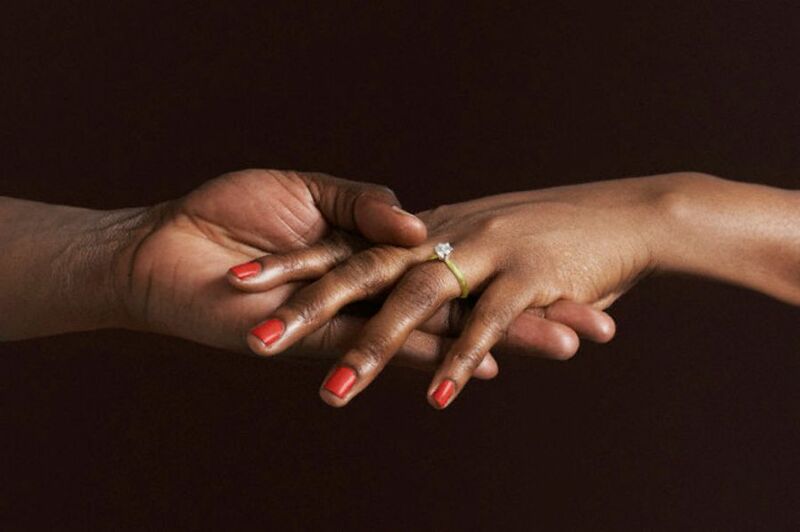 Sending her precious engagement ring to an online jeweler made her extremely uncomfortable. It took a couple of weeks for me to convince her that Gemvara was a reputable company that provide safe and secure service. 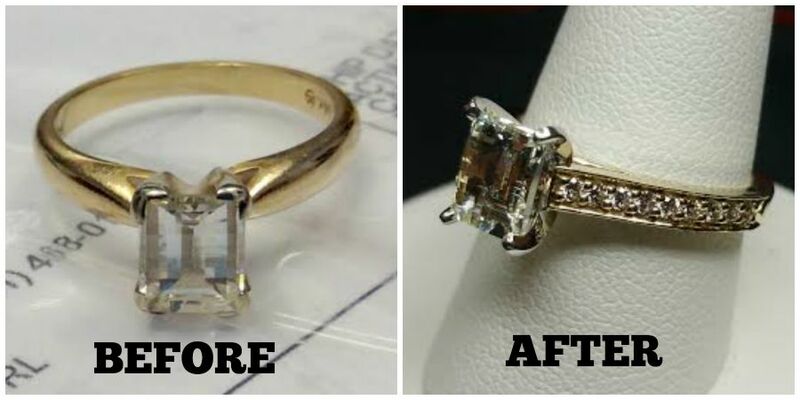 She was finally convinced when she learned that Gemvara not only insures the ring up to $5000, but they also provide a 101-day return policy, 1 year warranty, and excellent customer service (a Gemvara rep. personally guided us through every step the process). With her worries alleviated, my wife finally came around to the idea of getting a new setting and her excitement began to grow as we spent time on the Gemvara website. Send Stone: Gemvara sends a free, prepaid insured mailer for you to send in your jewelry or stone. Stone Assessment: Gemvara inspects the stone, confirms the measurements and secures it. Handcraft: You select the perfect design and a Gemvara jeweler handcrafts the new setting from scratch and sets the stone. The handcrafted, restyled piece is delivered to your home shortly thereafter. After carefully and thoroughly considering every setting available on the site, my wife settled on the Round Cut Flora Ring Setting. The new ring arrived in about three weeks. I tried to recreate my proposal by presenting the ring on one knee. Unfortunately, that romantic gesture was nullified by my three kid’s gathering around to see what I was doing. Since she’s been wearing the new ring, my wife has been receiving several compliments and from time to time, I notice her staring at her ring. Despite her initial trepidation about Gemvara’s service, my wife is now a satisfied customer. She loves her ring and is glad that she decided to move out of her comfort zone and get a gorgeous, new setting that she will cherish for the rest of her life.